All our money lenders adhere to responsible lending policy to protect the customers form falling into a debt trap. Our payday lenders have signed a Code of Practice with various governing bodies like Consumer Finance Association (CFA) to offer short term loans to the borrowers. Here we are providing some important extracts from the Code of Practice for the benefit of our customers. All our applications are supposed to check the Code of Practice of the lenders who offer them loans of various categories. 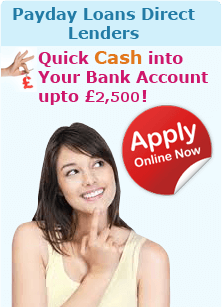 Payday loans are best suited to meet your sudden and unexpected expenses such as repair of an appliance or vehicle. These loans meant to help you bridge the gap of your financial requirements till your next payday and should not be availed to enjoy hobby activities, leisure, travels and holidays. You are the best judge of your repaying capacity. Do not borrow more than what you can conveniently repay. Do not avail more than four payday loans in a year. Continuous availing of payday loans would mean you have some financial problem that cannot be bridged by availing payday loans. In such a scenario, think to avail some other type of loan to bridge your financial gap. If you face any difficulties in repaying your debt or EMI, contact your money lender as soon as possible and he will work out some way out for you. You need to ensure and understand the concept of APR. Ask your lender to make you understand the concept by an example, and do clarify about the APR applicable to your particular loan category. Ensure that the site through which you avail loans keeps your all information private, secure and confidential and does not disclose the same to any third party. Ensure that your payday site is registered for Data Protection. If your loan application is not accepted for the amount you applied, retry for the same with lesser amount that may work for you. Do not avail loan of the amount which you think would not be able to repay conveniently Talk to our lenders immediately and they will work out the best solution for you Non-payment of debt or EMI may force your lender to report your case to Credit Reference Agencies(CRA) that may downgrade your credit rating and credibility. Best option would be discuss your concern with your lender who will try to assist you in all possible ways and may even waive off your penalty if he is satisfied with the authenticity for your case. In such a case, the money lender may not refer your case to CRA at all may provide your extend repayment time. If you are unable to reach to your lender, you may Contact Us and we will connect you with your money lender at the earliest. Check the policy of the lender on his website for late payments and other penalties before availing any loan from him. For further details, refer to CFA Code of Practice and BCCA Code of Practice. Representative 1734% APR Example | Borrow £ 80 for 28 days and repay £ 100 | Interest rate of 25% with £ 20 payable | Fixed Representative APR of 1734% | Note this is an average representative APR. Your rate could vary depending on the payday or short term loan lender that accepts you. This site is neither a financial institution nor a lender. We only try to match your requirements with lenders based on your application provided. By completing the application, you certify that you can be contacted by lender(s) on our panel.